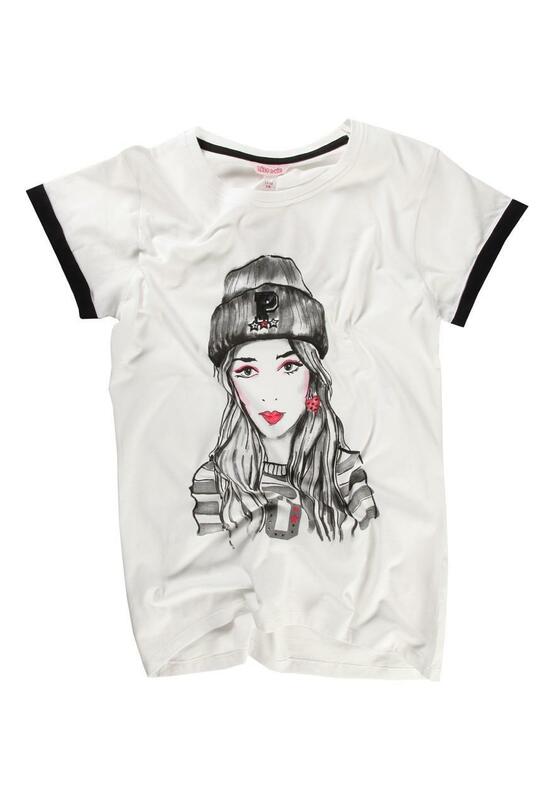 Create a super cute look in this drawing printed tee for older girls. 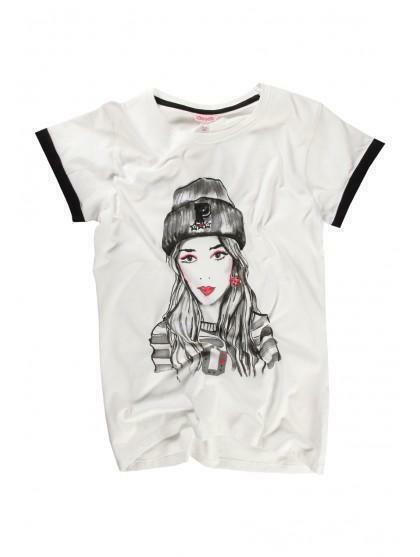 With rounded neck, short sleeves and drawing style print. Team with denim shorts or jeans for a complete look.